A Great Future & Dreams are made by extraordinary beginnings. 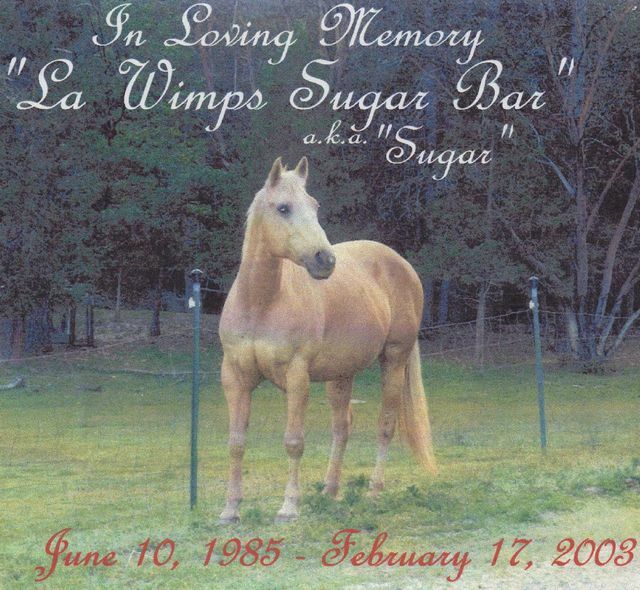 "La Wimps Sugar Bar" a.k.a. 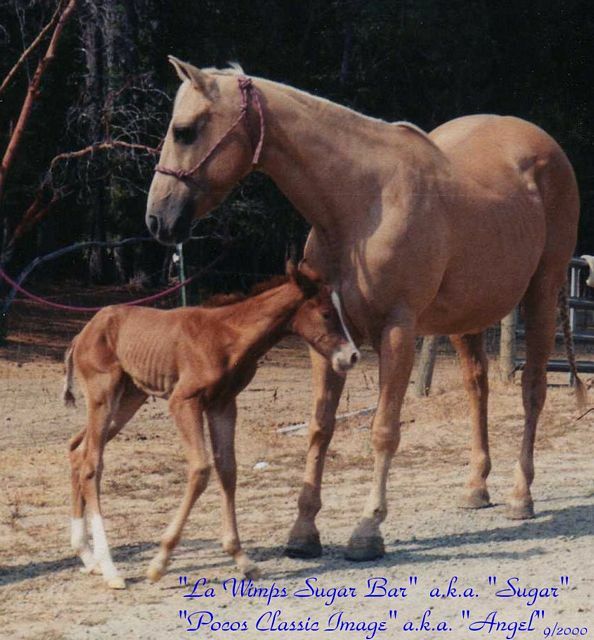 "Sugar" was one of our extraordinary beginnings. She was always there for you through the good and the bad times, never giving any ill feelings. 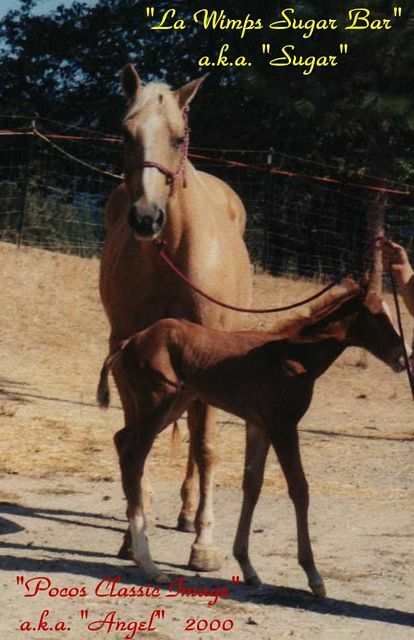 She put her heart into all she did, she loved trail rides, parades, shows, and most of all being a mom, whether it was to her own baby or another. 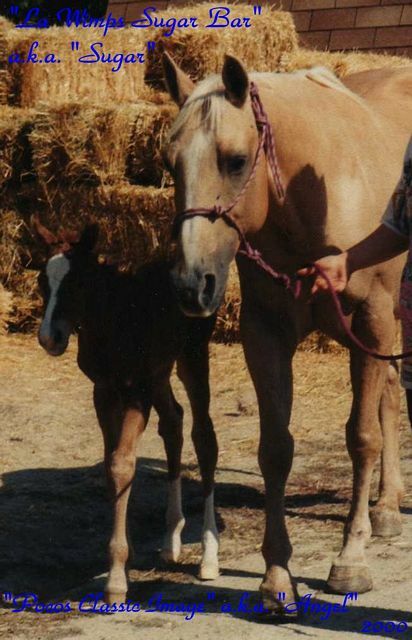 Every morning she'd be the first to whinny and talk to you or greet you as you came up the driveway. She always went the extra mile to show her human companions how much she loved us and appreciated us. 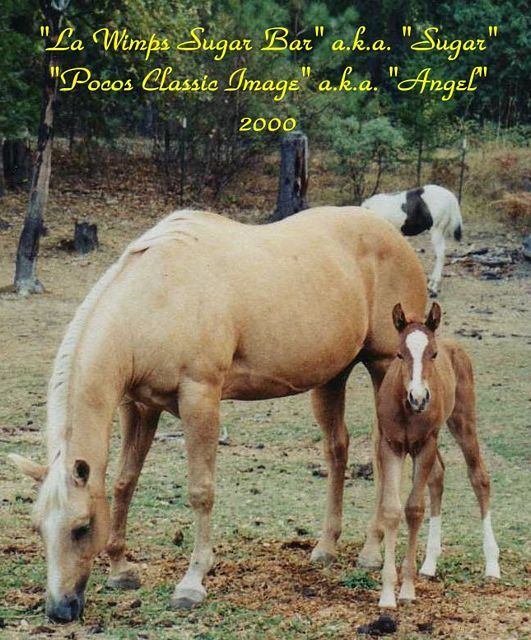 She blessed us with her beautiful daughter "Pocos Classic Image" a.k.a. "Angel" on 9-28-2000 a spitting image of her dad. Angel will always be a reminder of her mom, and carry on where her mom left off. She is a true definition of an "Angel"
Although Sugar has left us and gone to live in greener pastures, she will always be overlooking us and be with us every step of the way. 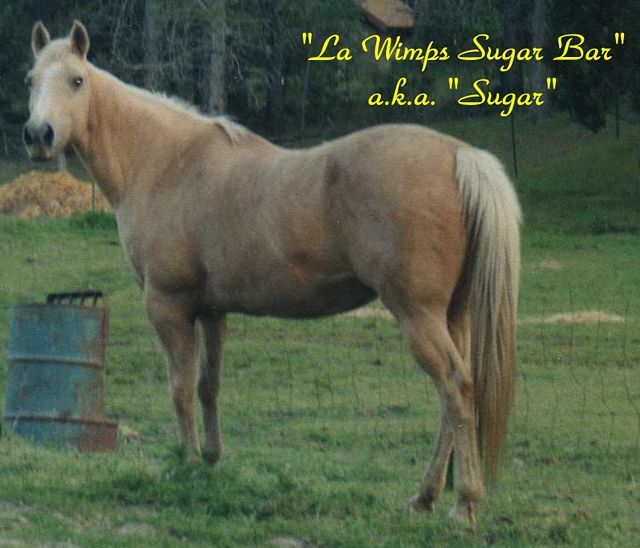 Many of us have Guardian Angels and to us Sugar will always be our Equine Guardian Angel. We may no longer have her to talk to us or guide us safely down the trail but she will forever be with us in memory. We never realize how much one means to us until they're gone, Sugar was truly our Companion and Best Friend, she will now Rest in Peace and keep a watchful eye over all of us. We Thank God daily for giving us the opportunity to own such a Great Mare. 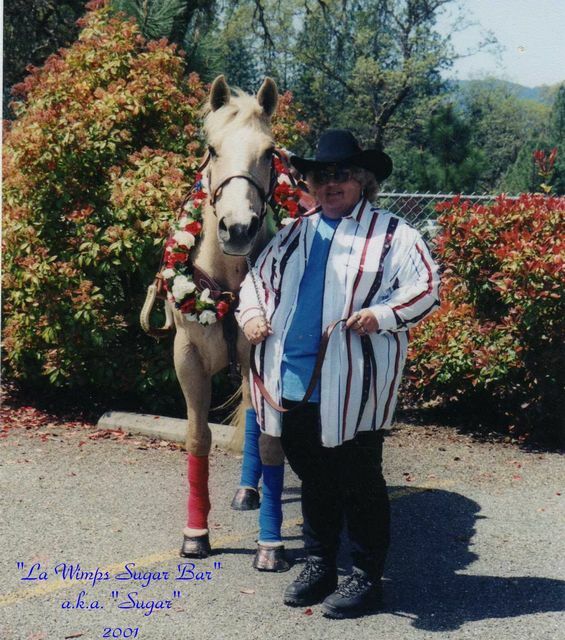 Sugar you were one of the few, one of the Greats, you were truly extraordinary. Sugar through what you have done for us and the Blessing of your daughter, you have given us the opportunity for our Dreams to really come true. Sugar, be Safe and Happy trails, you will always be in our Hearts. Dreams really do come true, they are made from extraordinary beginnings, Sugar will always be our extraordinary beginning.